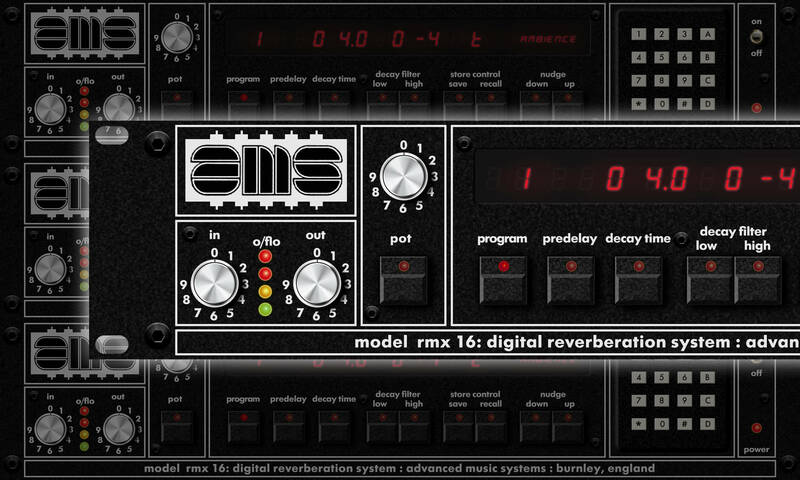 In 2016 UAD together with AMS/Neve released the long awaited software plugin of the most significant reverb of the 1980s, the AMS RMX16. That it was on the UAD platform pretty much guaranteed it was going to be good, and given the very long gestation period they made sure they got it right. 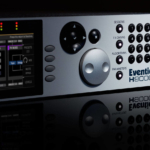 It was a very well received plugin at the time, and now they have released an updated and expanded version of the plugin called the AMS RMX16 Expanded. The original version is no longer available to purchase. Delay: a single mono delay of up to 1.63 seconds (depending on hardware version) available on output 2 only, with output 1 producing a direct digital source feed. Delay time is set by the Pre–delay control, and feedback using the Decay control. Freeze: a variation of the max–delay Ambience mode, making it easier to control. The Decay control has three settings: 0.0 is ‘clear effect’, 0.1 ‘freeze but accept new audio’, 0.2 ‘freeze with no new input’. These modes are easy to control via the nudge buttons. Hall A1: an early version of the Hall C1/B3 programs, with a slightly coarser decay. Image P1: similar to NonLin, but with reflections being panned between outputs. Sounds very similar to NonLin when summed to mono. Plate B1: a variant of Plate A1. Reverse 2: a stereo–output variant of Reverse 1. Room A0: the original version of Room A1, shipped with early units. It has a coarser and brighter top end than Room A1. Room B1: uses a different algorithm to Room A1/A0 and features a constant diffusion density with time. The Decay control affects impression of room size. NonLin 1: a simpler, dual–mono version of NonLin 2, with the two mono outputs differing by providing only discrete or diffuse reflections.